'The pool' is one of Fairweather's masterpieces. It has clear references to Cézanne, revealing Fairweather's deep admiration for his work, with linear patterning derived from a fascination with Chinese calligraphy. His indebtedness to the famous bathing subjects of Cézanne is clearly signified by the figures, entangled mysteriously within the picture plane. 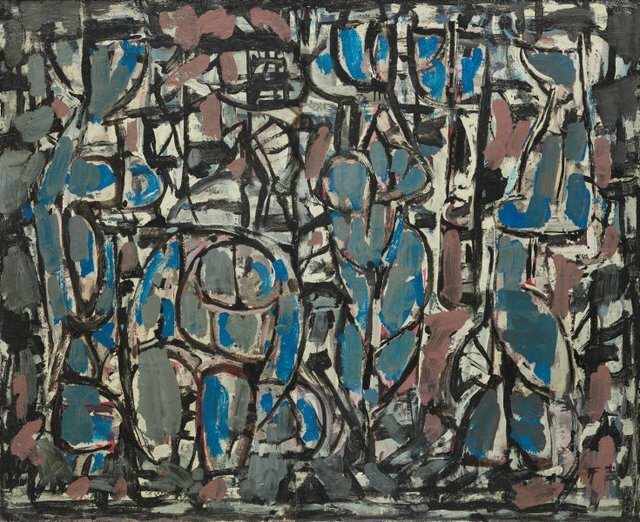 It indicates the growing complexity of Fairweather's images from the late 1940s, juxtaposing positive over negative forms and painting in many accumulating layers. 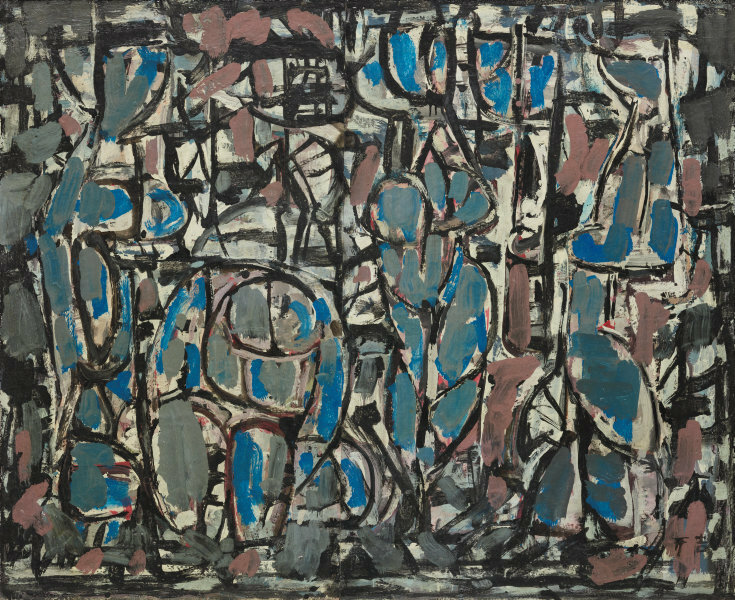 This is one of four major paintings from 1959 to 1962 in which Fairweather added the Chinese characters for the word 'auspicious' to his signature, indicating his own satisfaction with them. Signed l.r. corner, black synthetic polymer paint "IF" [monogram]. Not dated.